Responsive website focused on information & blogging capabilities. Riverview Reformed Church has been with Heartland Internet Solutions since 2010 and this is a new redesigned site is mobile-friendly and allows church staff to update events and their weekly bulletin. This version of the website also incorporates a blog for the Pastor. As the needs of the church have changed over the last years, Heartland Internet Solutions has been able to advise them on the direction of their website and how to incorporate other programs into their website, such as online giving & text alerts. 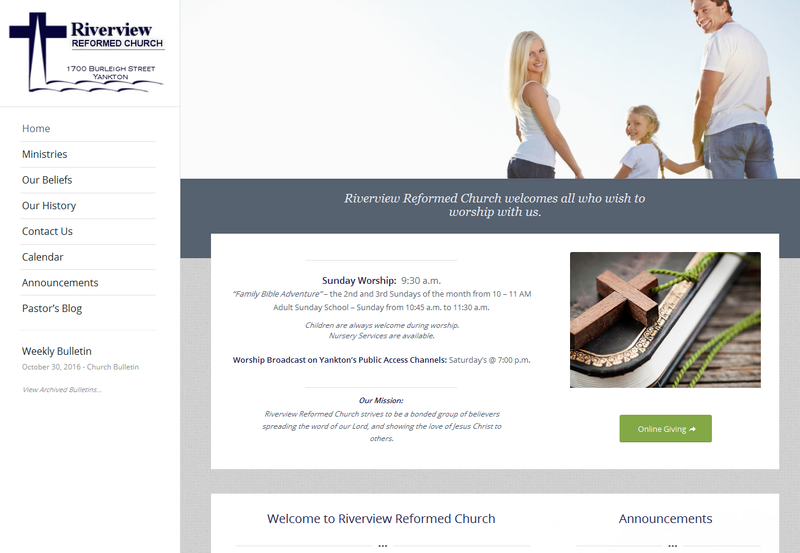 Thank you to Riverview Reformed Church for choosing Heartland Internet Solutions for your website needs!